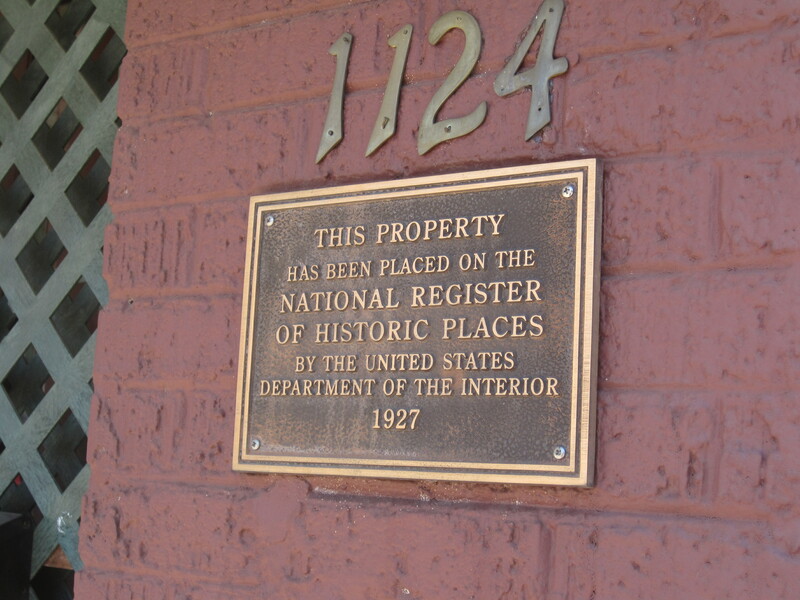 It lives in one of the oldest buildings in Shreveport, so old it’s on the National Registry. The section of town is hardly the best, and it’s only open at lunch. 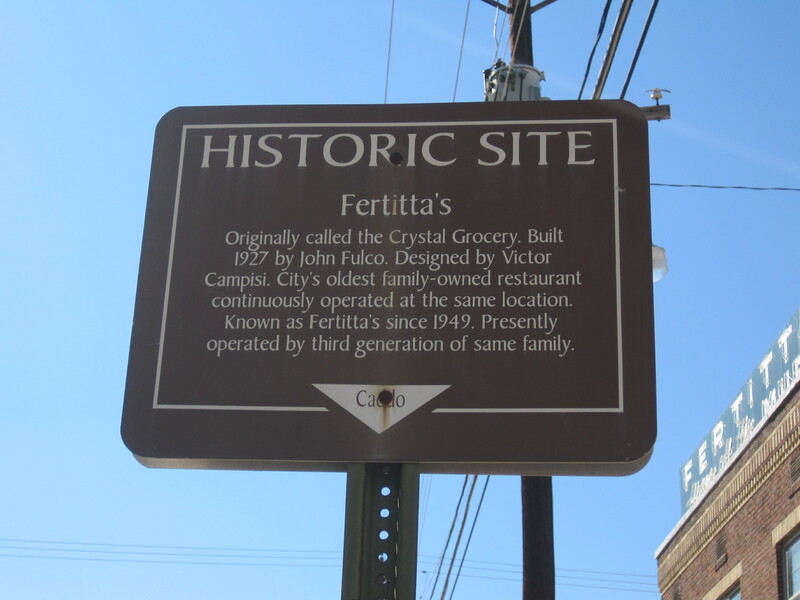 But the look, outside and inside, has to be seen to be believed, and they serve what they call a muffy, so designated (so my father tells me) because Fertitta’s was sued when they tried to use the phrase “muffuletta”. The "small" muffy. The large one is bigger than my spread hand. 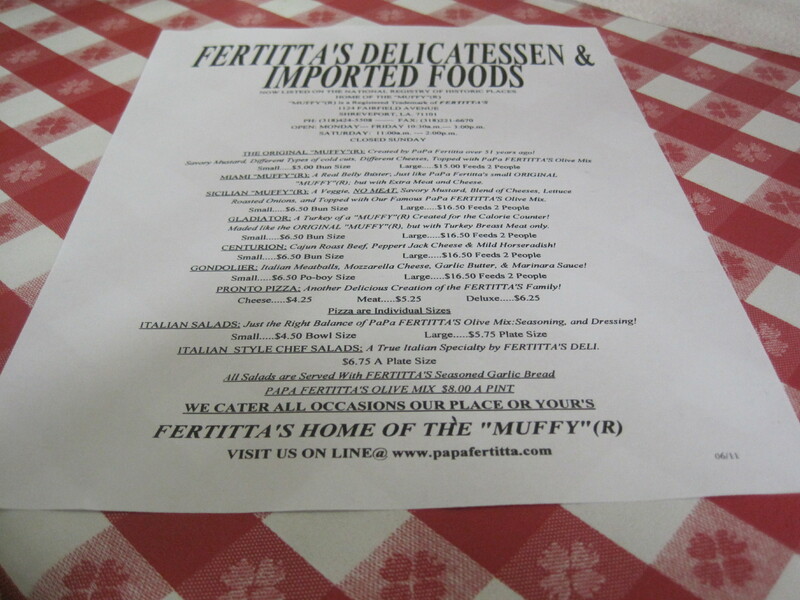 Fertitta’s muffy is an original, in part because of the home made olive salad they use, in part because it’s a sweeter olive salad than most. 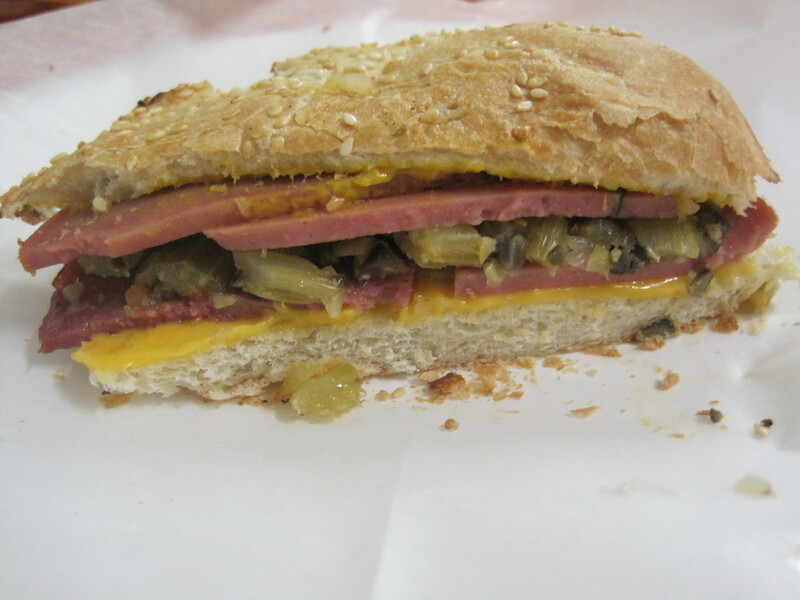 It doesn’t transport me the way the muffuletta at E. 48th Street Market Italian did, but something with a near 80 year history deserves some respect. 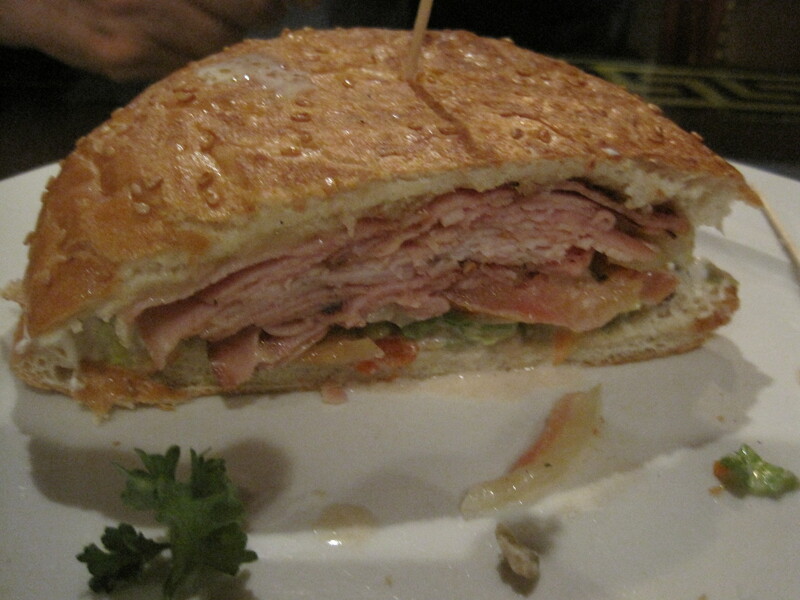 I enjoyed the sandwich, enjoyed the meal, loved the ambience. 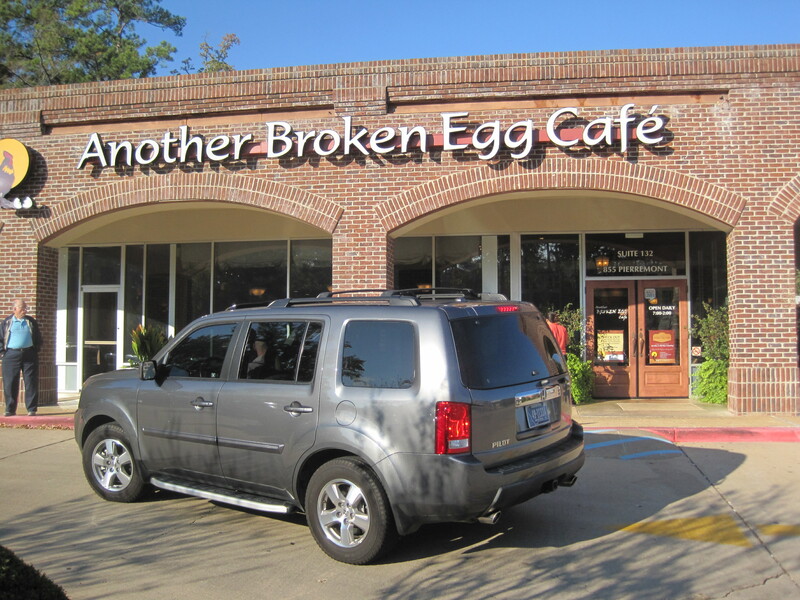 The ambience alone makes this something of a “must visit” for a food aficionado in the Shreveport area. 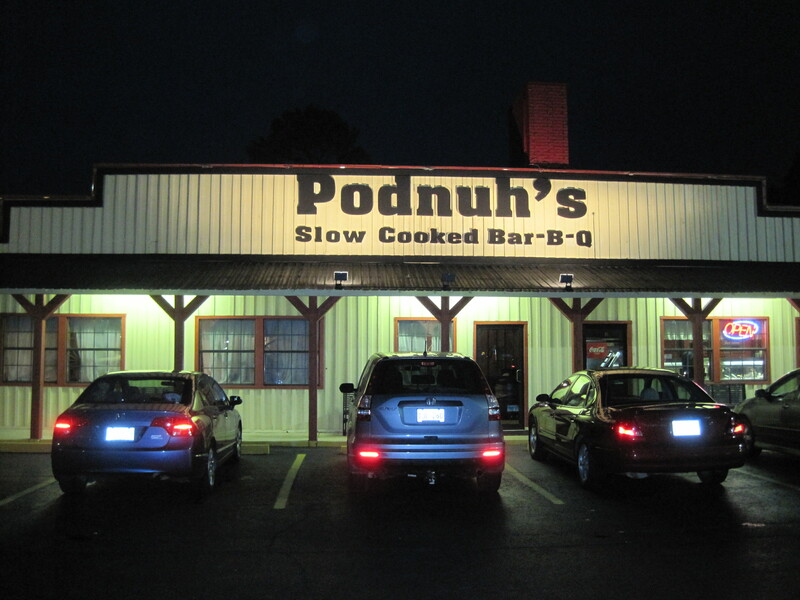 Podnuh’s is perhaps my brother’s favorite barbecue in the Shreveport area. 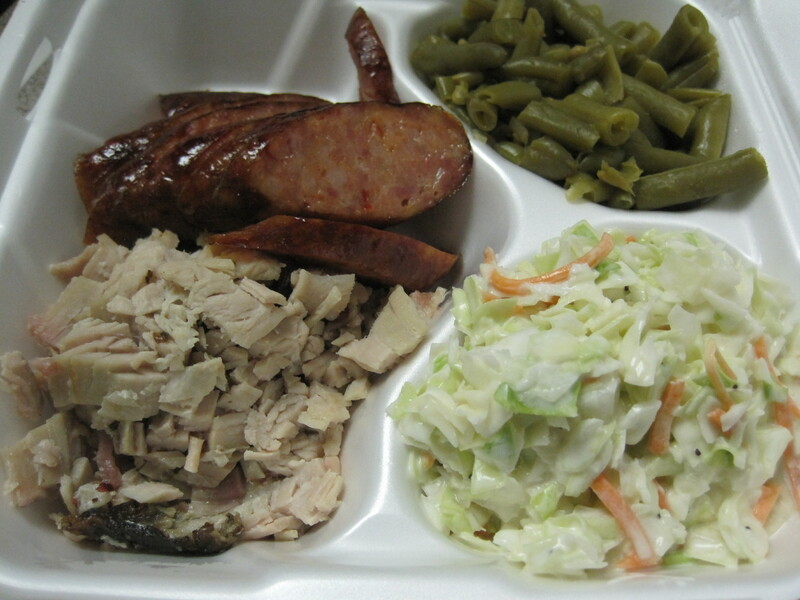 A small chain with a cafeteria line style of service, you order your meats, and once handed what you order, you pick your choice of sides as you stroll down towards the register. On this day I had brisket, and ordered ribs to go for my family. The brisket was pretty ordinary; the ribs were quite good. 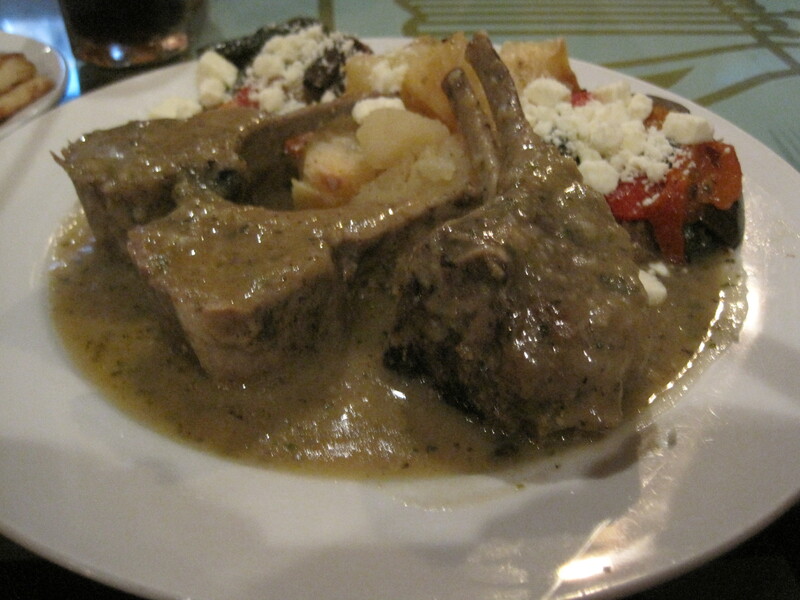 They are large ribs, done in the Saint Louis style. 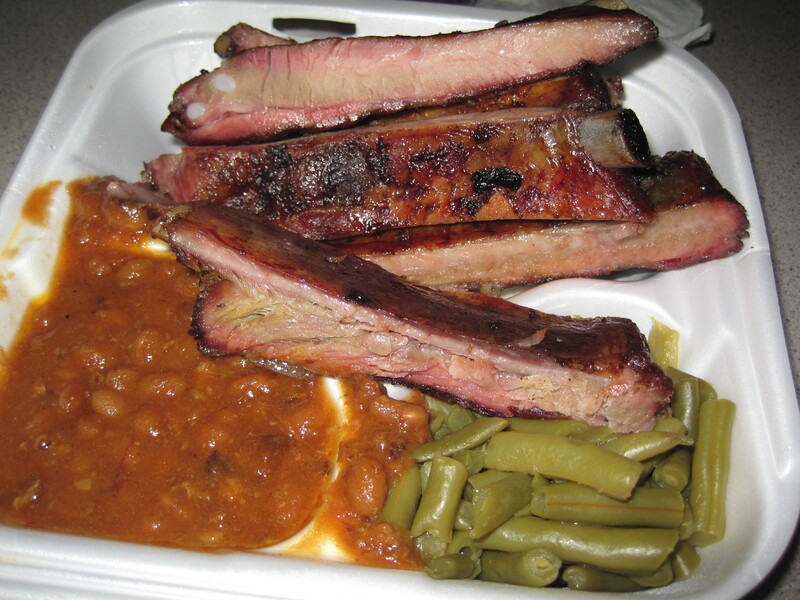 The smoke flavor in the ribs is distinct and you can easily see a smoke ring on the ribs. 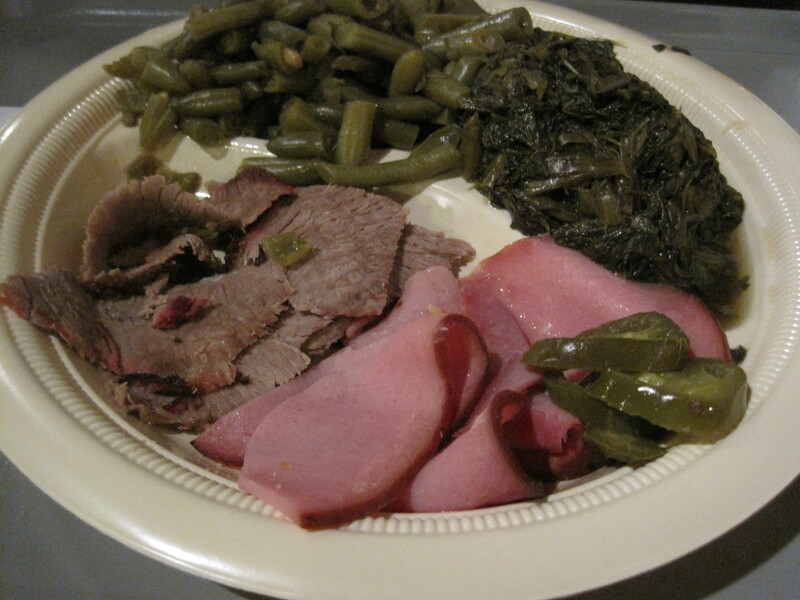 By contrast, the brisket tended to be dry and the smoke flavor was sometimes there, sometimes not. 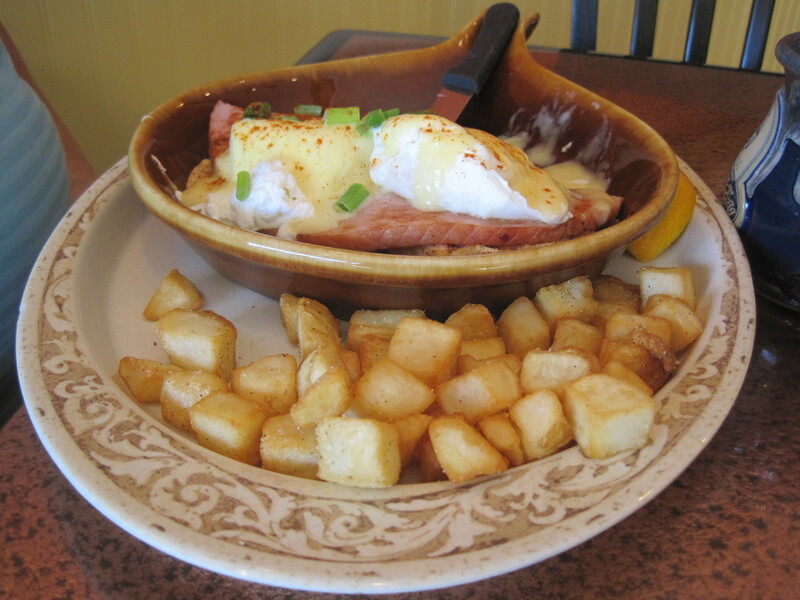 Sides are decent; staff is quite helpful. The looks inside are worth a peek. 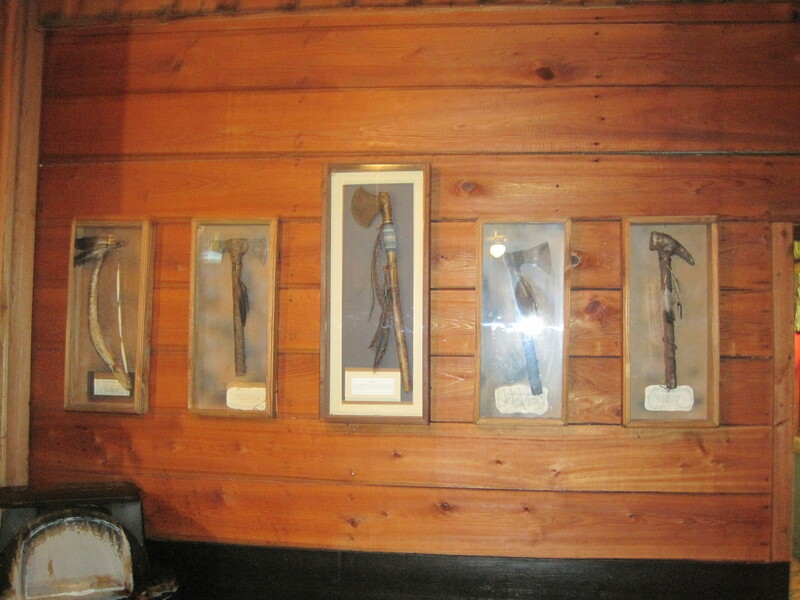 Bits and pieces of western memorabilia cover the sides of the walls. A television is in one corner, but otherwise was a quiet place to spend an evening between Christmas and New Years. Yesterday I picked up some food to go from Haru Ichiban, and spoke a bit to the manager about the Shoya Izakaya – Haru Ichiban connection (noted by John Kessler and Gene Lee). He said that Shoya was opened by the ex-owner of Haru, and that Haru Ichiban has retained all their staff, including their executive chef. I wasn’t quite sure where he was going with this until he mentioned that people are eating at Shoya, not liking it, and going to Haru Ichiban to complain. They tell him, “The food doesn’t taste the same.” I think this is significant enough to pass on: if you don’t like the food at Shoya, complain at Shoya. Otherwise I’ve been trying to remember the names and locations of places I’ve eaten at over the years, and I’m drawing so many blanks on so many places. Other places of note are simply gone: Bookbinders in Philadelphia is gone. Neal’s Ice Cream in Houston (the first place I was served a super-premium ice cream) is gone. The Pizzeria Uno on Colonial Drive in Orlando (pizza salvation in Orlando) is gone. Brocato’s in Shreveport? Gone. 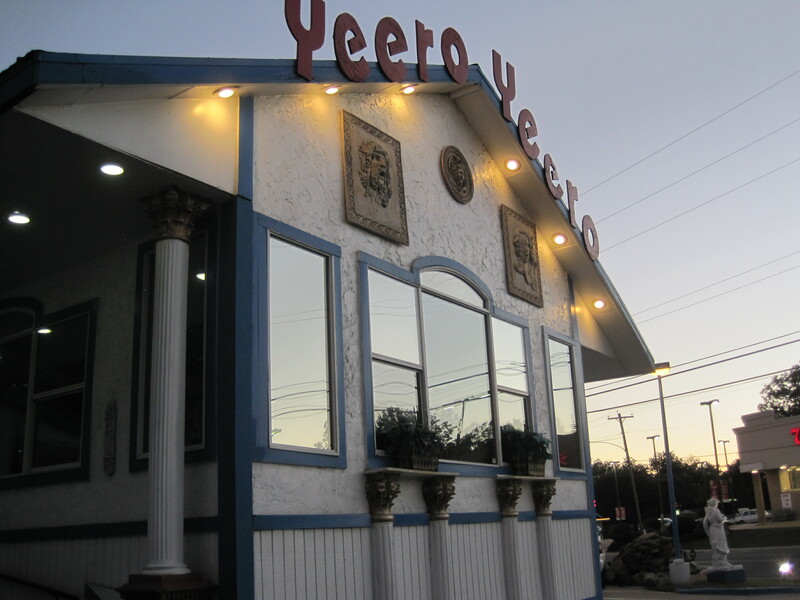 The BBQ place southwest of Fort Worth Texas we so favored? Closed, because restaurants are no longer allowed to have sawdust floors. Others are lost in the wash of hundreds and thousands of potential contenders. 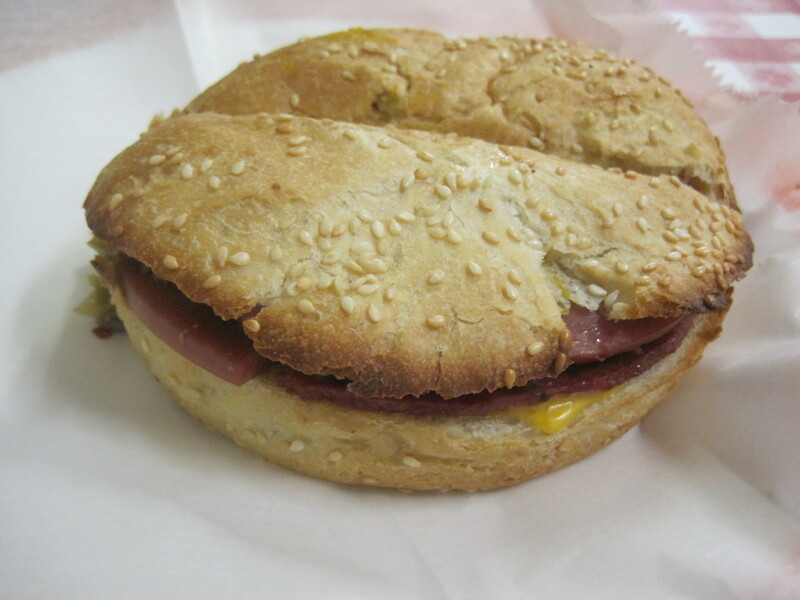 Have you ever tried to track down a deli from New York City using Urban Spoon? Midtown West alone has 230 sandwich shops. Pizza in Chicago? 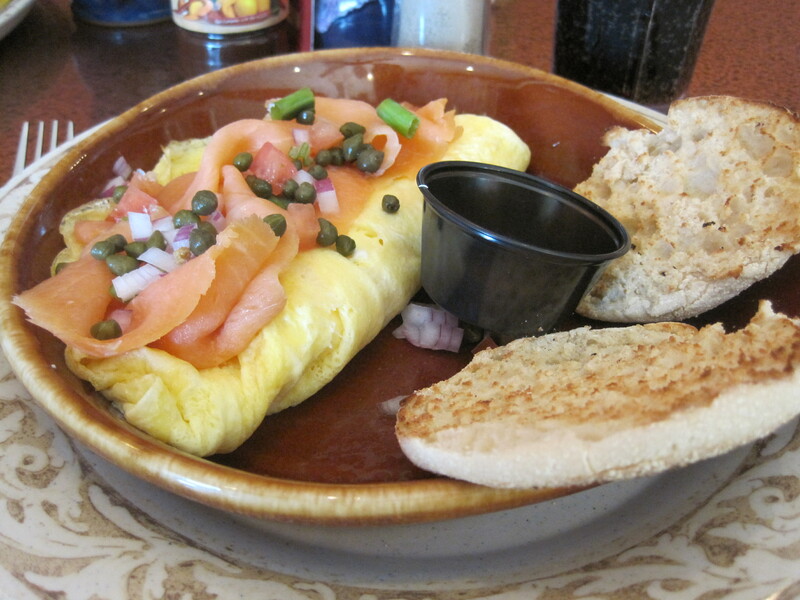 There are 3000 eateries in the windy city. Some things, however, are slowly becoming clearer. The In N Out Burger we dined at, located near the Muir Forest? Found that. The pizza we had in Chicago, I’m pretty sure it’s one of the two restaurants that Urban Spoon calls Original Gino’s East. Nothing else has the graffiti, or is close enough to Northwestern University. The astounding dungeness crabs in San Francisco? The leading candidate right now is Thanh Long. The really fun ice cream shop in Oakland, California? That was Fenton’s Ice Cream Parlor. The first place I ever had a French black bottom pie? That was House of Pies, on Kirby in Houston. Yet another boonie pepper seed from floralys sprouted, totally unexpected. This brings the germination rate of floralys seeds to 7/12. I took my largest boonie pepper plant and put it in a clay pot outside. The pepper doesn’t look that good. I give it a 50-50 chance to survive. And reviews on the way, soon to be published: Six Feet Under, Alon’s in Dunwoody, Shoya Izakawa, Longhorns near Webb Ginn, Cold Stone Creamery and more. Note: for those who remember Brocato’s excellent red snapper in a bag, a minister named Richard Seaton is offering a cook book based on the old Brocato’s staples.